The aligners are made through a combination of Dr. Perona‘s expertise and 3-D computer imaging technology. As you replace each aligner with the next in the series, your teeth will move – little by little, week by week – until they have straightened to the final position Dr. Perona has prescribed. You’ll visit Dr. Perona about once every 6 weeks to ensure that your treatment is progressing as planned. 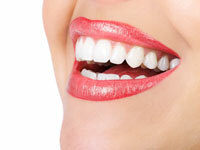 Get Your Beautiful, Healthy Smiles… Faster! AcceleDent® gives patients faster and more comfortable orthodontic treatment with braces and aligners. AcceleDent OptimaTM is the most advanced accelerated orthodontic device with a comprehensive suite of technology driven features. Simple and easy-to-use, AcceleDent is clinically tested to speed up tooth movement while reducing orthodontic discomfort. AcceleDent Optima is clinically proven to accelerate tooth movement by up to 50%. It’s the firstorthodontic device of its kind to offer accelerated orthodontic treatment and help decrease orthodontic discomfort in a noninvasive, nonsurgical way. AcceleDent Optima is also the first and only accelerated orthodontic device to connect patients and practices with an app to monitor, monitoring, direct messaging & rewards. AcceleDent is only available by prescription from your doctor. Leading doctors around the world use and endorse AcceleDent’s SoftPulse Technology®as safe and effective in accelerating tooth movement and reducing the discomfort associated with orthodontics. AcceleDent was designed to fit your lifestyle. Use the hands-free device for just 20 minutes a day during routine activities such as reading, watching TV, listening to music, browsing the internet or showering.